Blueberry fruit powder, black raspberry powder, mulberry leaf powder, bilberry leaf powder, papaya juice powder, camu camu, luo han guo (monk fruit), broccoli powder, carrot powder, purple sweet potato powder, kelp, fructooligosaccharides (FOS), Chlorella, Papain, Bromelain, Pyrroloquiniline quinone (PQQ), Acai Juice Powder. 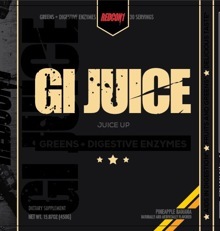 For optimal results, take (1) serving of GI Juice upon waking up or with your breakfast. 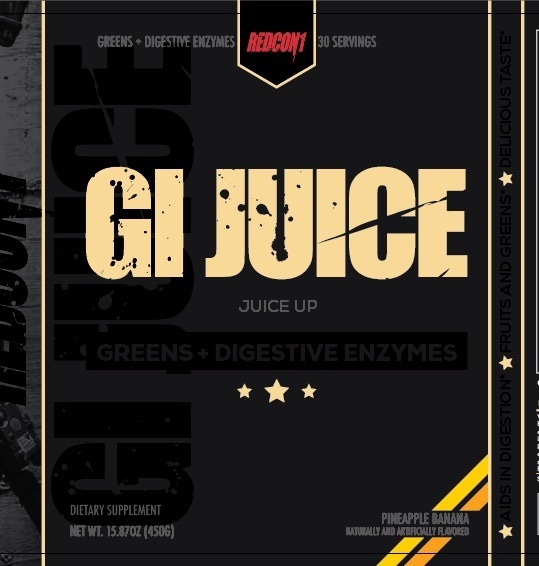 Additional servings can be taken with meals to aid in digestion. For optimal taste, mix each serving with 10-12 ounces of water or your favorite beverage. Pineapple Banana This is a Buy 1 Get 1 FREE offer!